Green cleaning is a cleaning service Maids Prime offers for all residential and commercial spaces in Maryland, Virginia, and DC. We have a strong commitment to using environmentally friendly, responsible, and sustainable green cleaning products. Maids Prime cleaning company knows that by using natural, green cleaning products, does best for its customers and for the environment. We green clean your house, an apartment, your office, or any other type of commercial space. That way, we make the spaces where you live and work clean and healthy. This practice gives us a peace of mind. We are doing the best we can to protect the Earth which is our true home. Join us on this green journey and book green cleaning services today! A clean home environment is essential for a happy and healthy living. Living in a home cleaned using green, environmentally friendly products, will lift your spirits. It will give you a peace of mind because you are being gentle on the Earth. Maids Prime green cleaning services are tailored 100% to your needs and budget! All you need to do is book cleaning services and let us know that you want us to use eco-friendly cleaning products. We make sure to create a balance between a perfectly disinfected and healthy home. 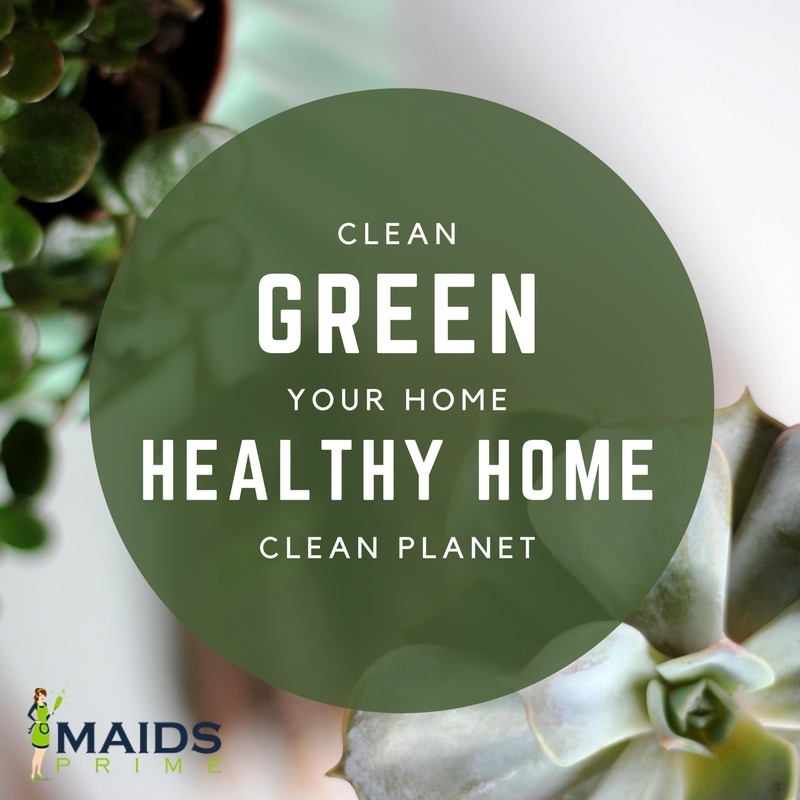 Maids Prime green cleaning promotes the healthy home environment. We keep cold, allergens, dust, and mold away from your home with our green clean. Maids Prime will always clean and disinfect all commonly used surfaces like doorknobs, light switches, and stair railings just as all other surfaces in your home. Green cleaning products are especially effective in reducing bacteria and viruses. They are also effective in preventing mold spores from returning. You are safe with us because we make sure to use the right cleaning products and the right amount. By using high-quality concentrated cleaners we do more with less. If you’ve been wondering: ”Where can I find green cleaning services near me in Maryland, Virginia, or DC?”, the answer is – right here, at Maids Prime! We will also happily share our green cleaning tips & tricks so you can adopt some best practices in caring for your home. 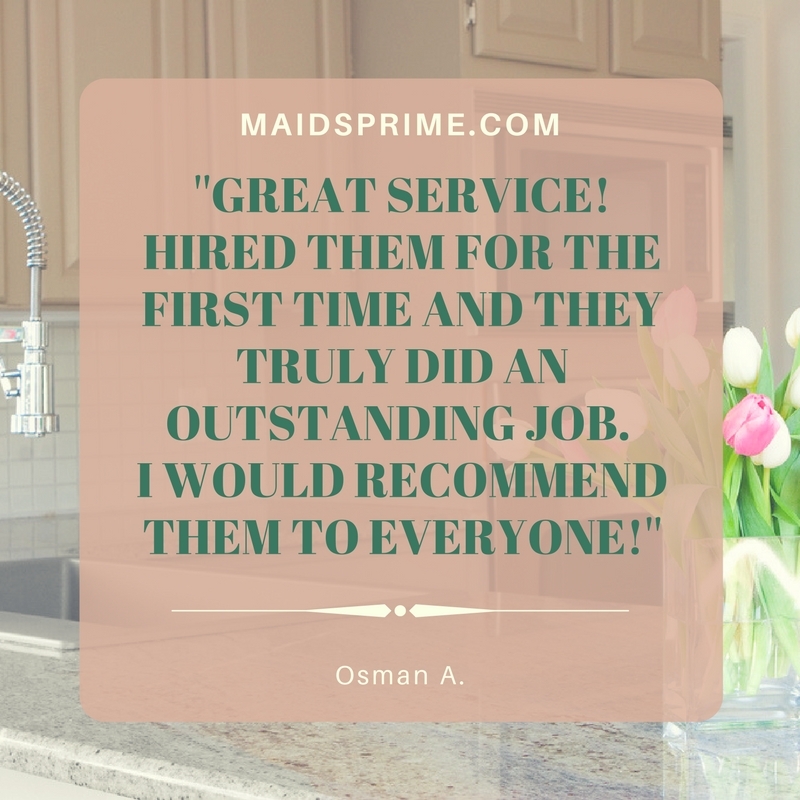 At Maids Prime, we pride ourselves in consistently delivering superb green cleaning services to many offices and commercial clients in Maryland, Virginia, and DC. Reliable, dependable, and eco-friendly, our cleaning meets and exceeds your expectations. If you own an office or a commercial property in DC, Virginia, or Maryland, you have probably heard about Maids Prime. Numerous referrals and word of mouth constantly bring in new clients that ask for green cleaning. True to our reputation, we always deliver impeccable and detail oriented green cleaning. Using environmentally friendly cleaning service tells a lot about your brand, your product, or your service. It speaks volumes that you are responsible and that you care about Earth, about our environment, and people. Your office is the place where your employees spend a lot of time, maybe equal amount to how much time they spend at home. Make sure to keep germs, bacteria, viruses, mold, and dust at bay. Call us to clean green your office and we guarantee that your office will become a healthy and happy place, full of potential for increased productivity and creativity. Green Cleaning Service DC, Maryland, and green clean VA are now available to you at low prices. Contact us today! We will customize our green cleaning services to your needs and give you detailed proposal the same day. The price will vary on how often do you need our cleaning professionals to come to your office. How often are you going to need our services? Daily, once a week, once in every two weeks, once in every four weeks, or just once? How many square feet should we green clean and what kind of commercial space is it? Give us all the details and the proposal will be on its way to you in no time! Green clean VA, as well as Green Cleaning Service DC are available with Maids Prime. Whether you need green house cleaning services or green commercial cleaning services in Maryland, Virginia, or DC, contact Maids Prime today. We will use our eco-friendly green products to make your home or office the face of sustainability, responsibility and care for your family, your employees, and the planet. After we come and get the job done quickly, effectively, and professionally, your office and your home will be just as you, your loved ones, and your employees deserve it to be. Let’s keep our environment safe and care about the people around us the best way possible, together. Contact us to book House Cleaning Services, Commercial Cleaning Services, Move Out Cleaning/Move In Cleaning Sevices.